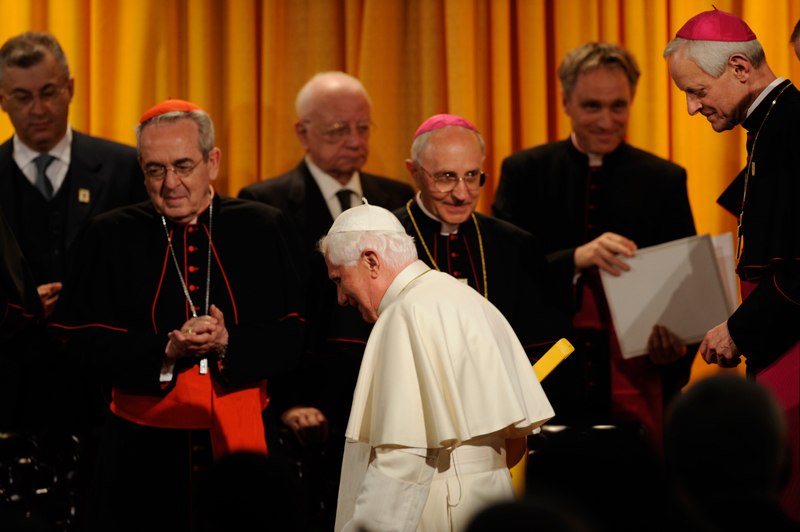 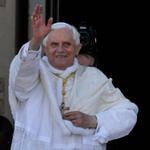 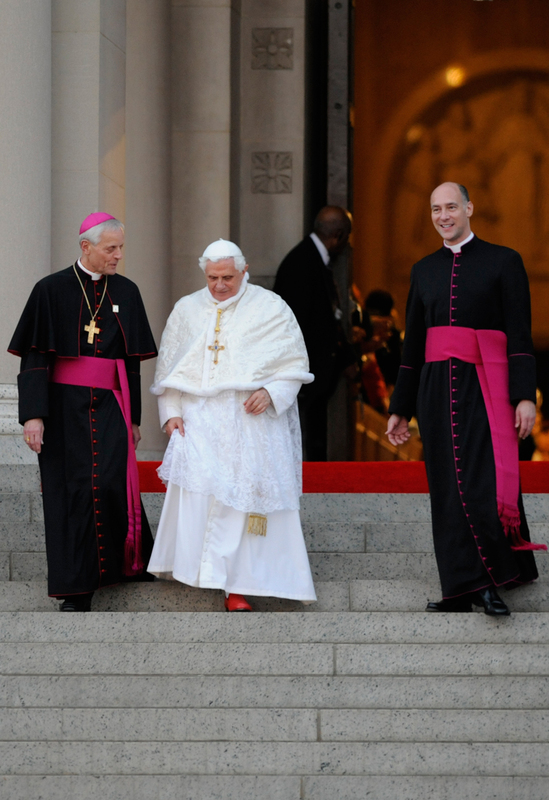 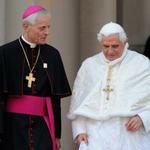 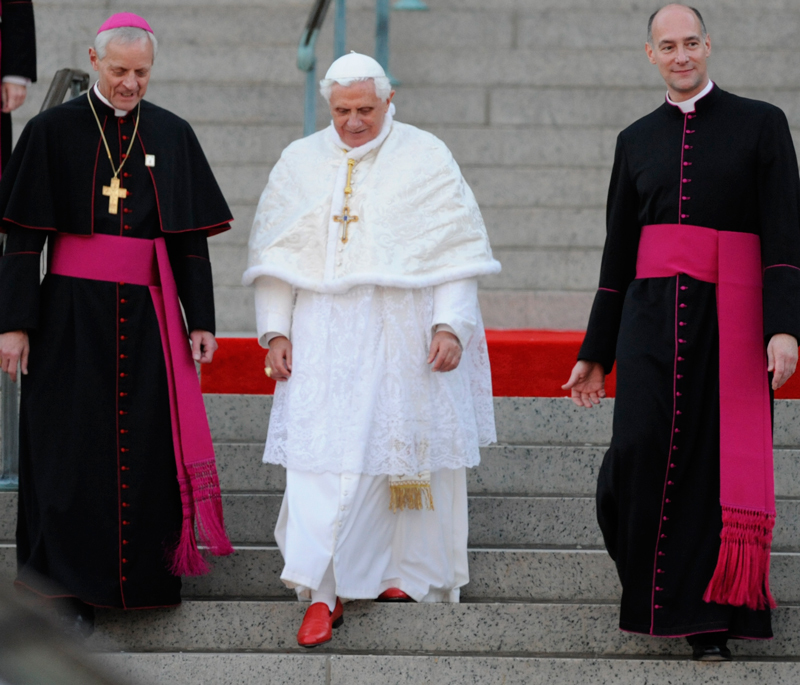 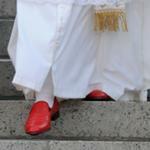 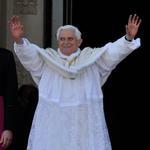 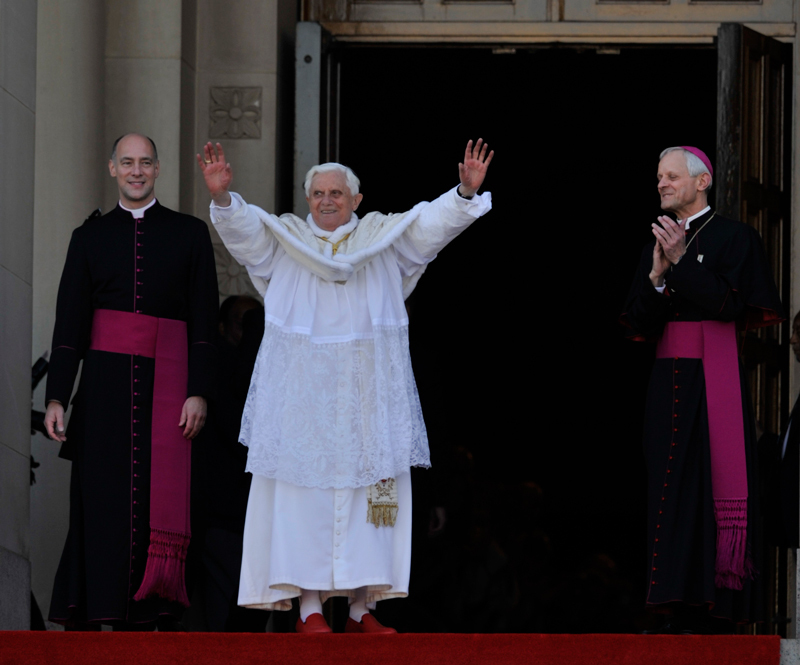 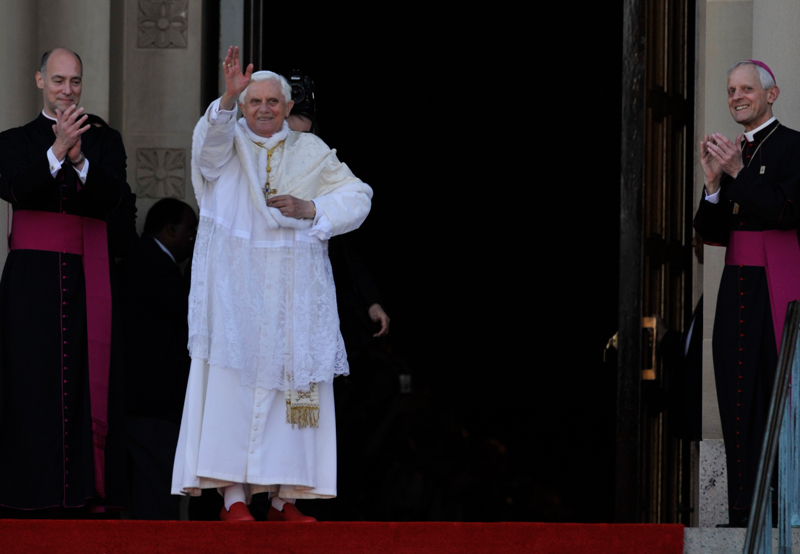 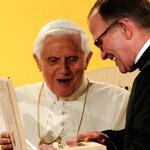 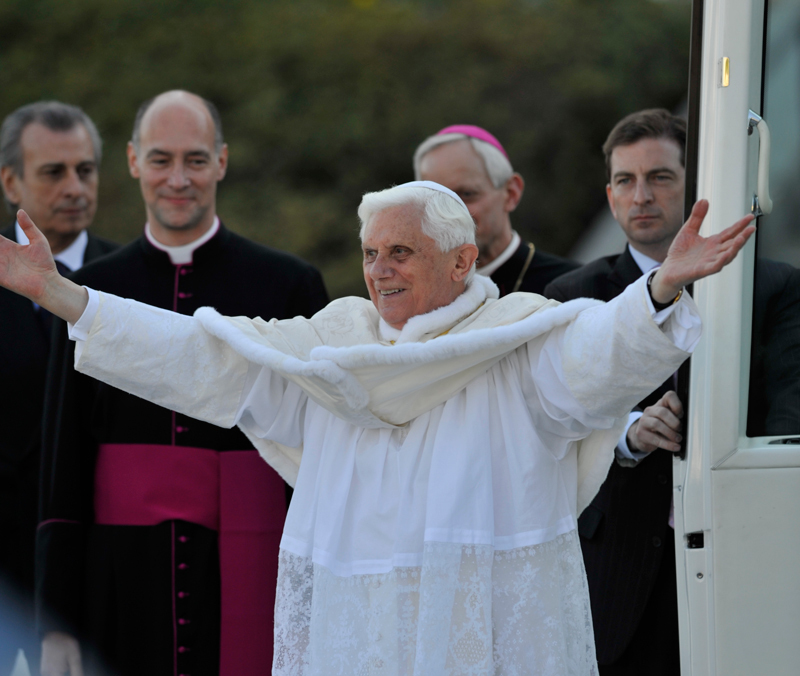 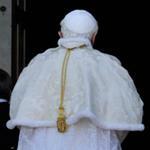 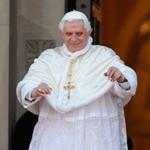 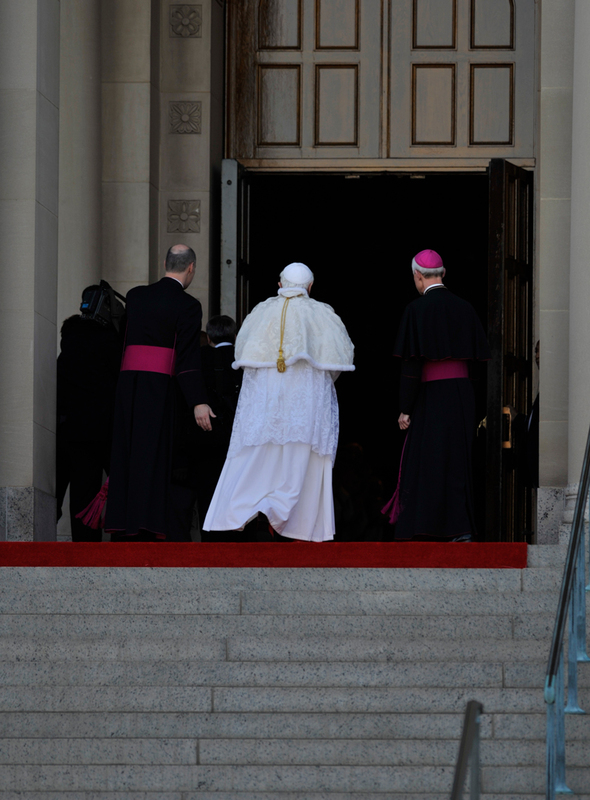 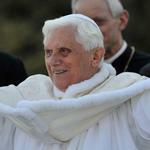 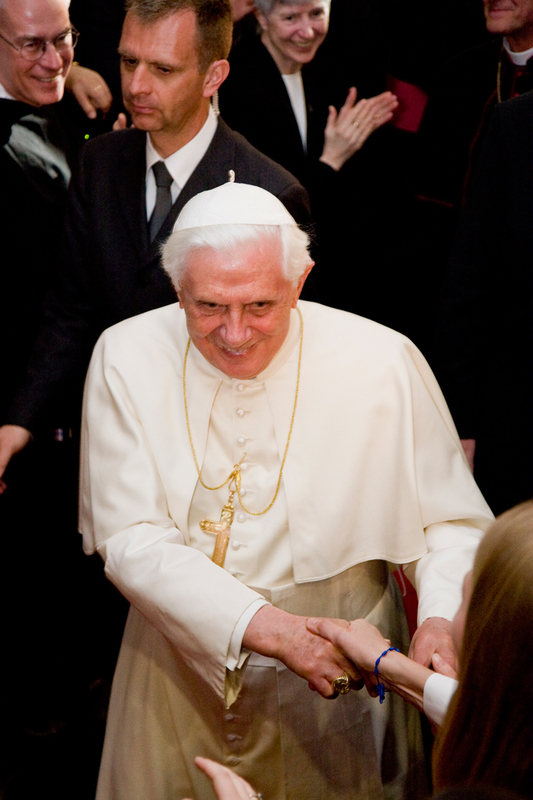 On Feb. 11, 2013, Pope Benedict XVI announced he would step down. 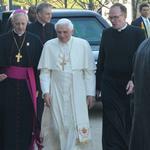 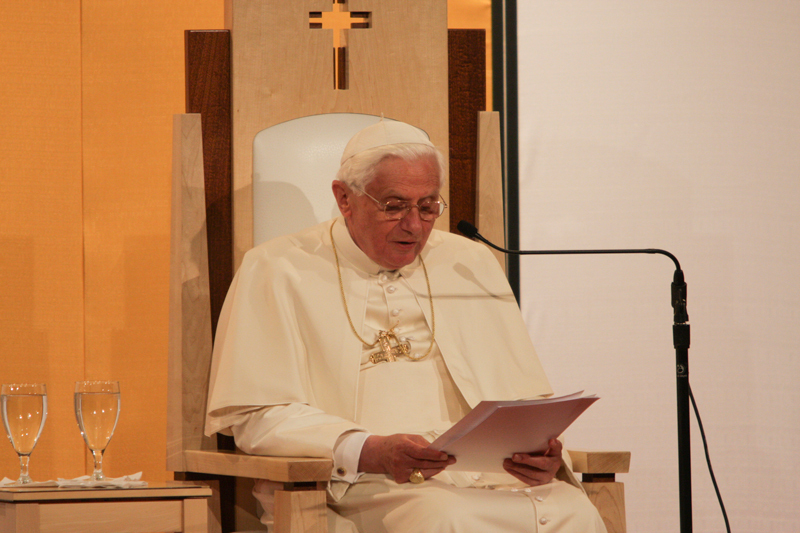 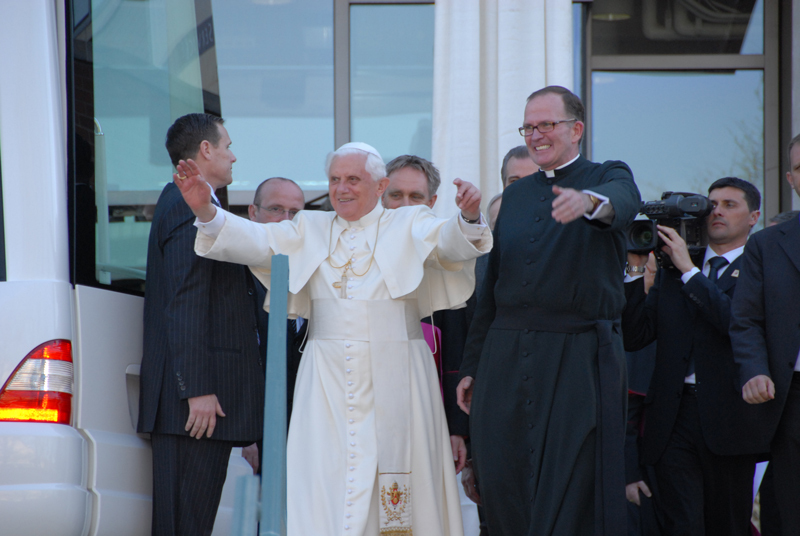 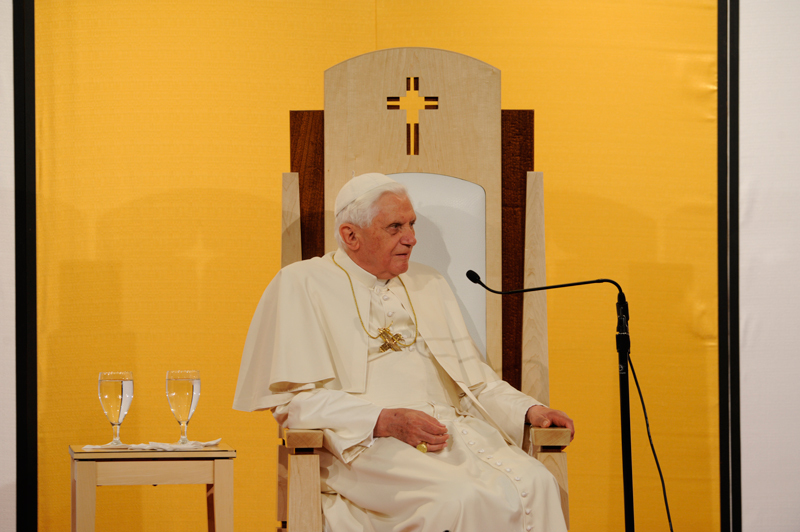 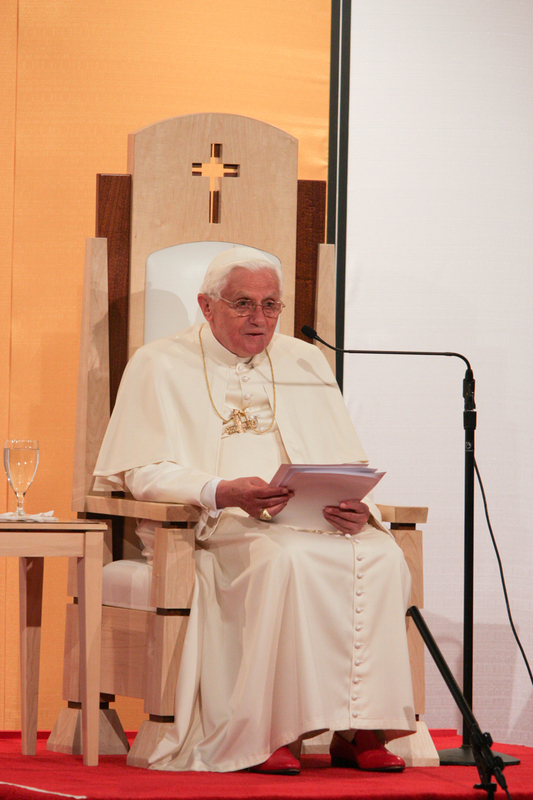 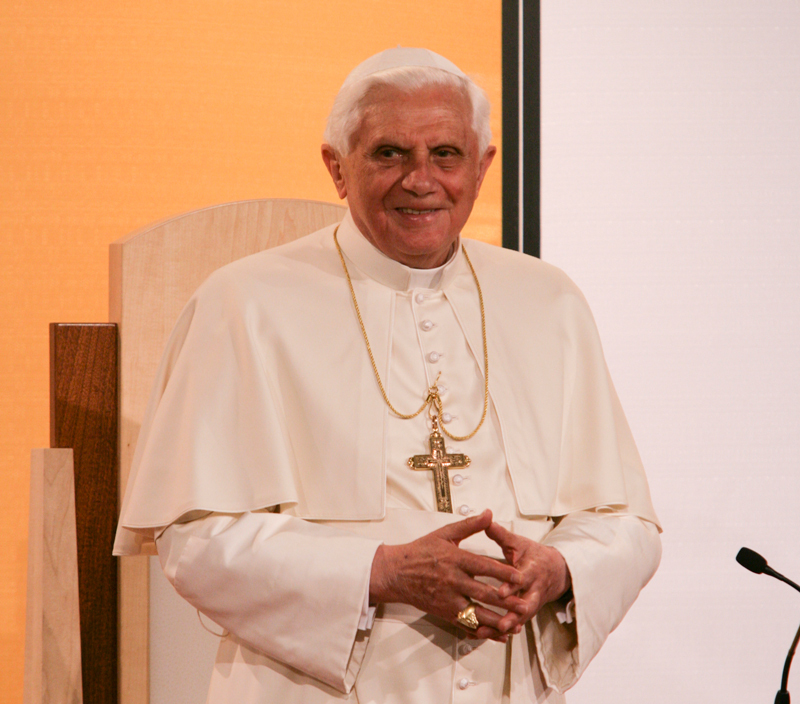 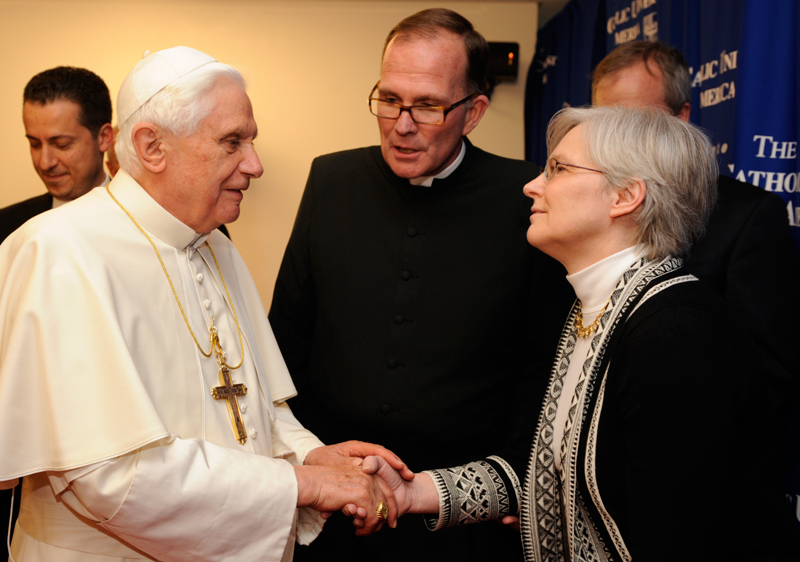 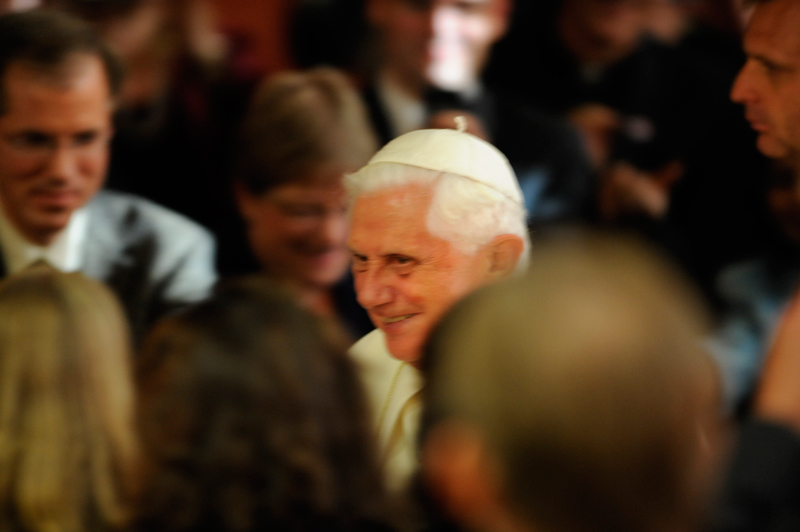 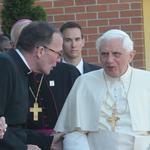 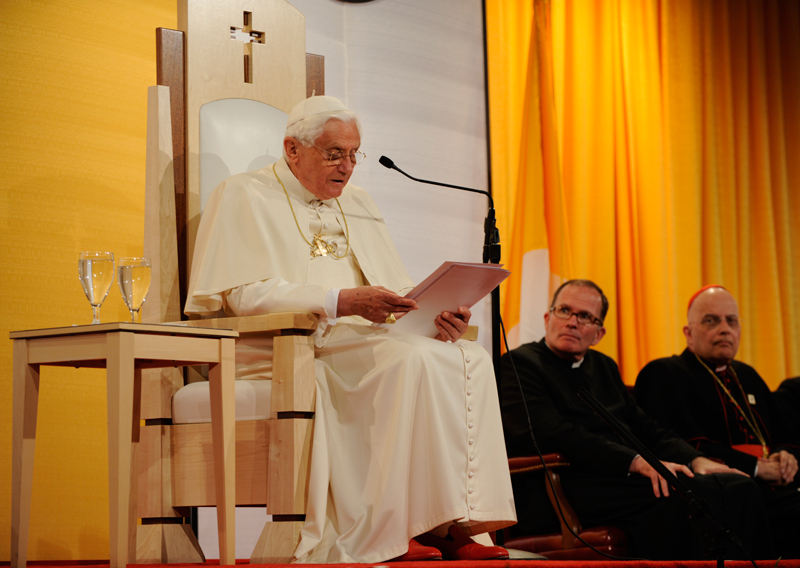 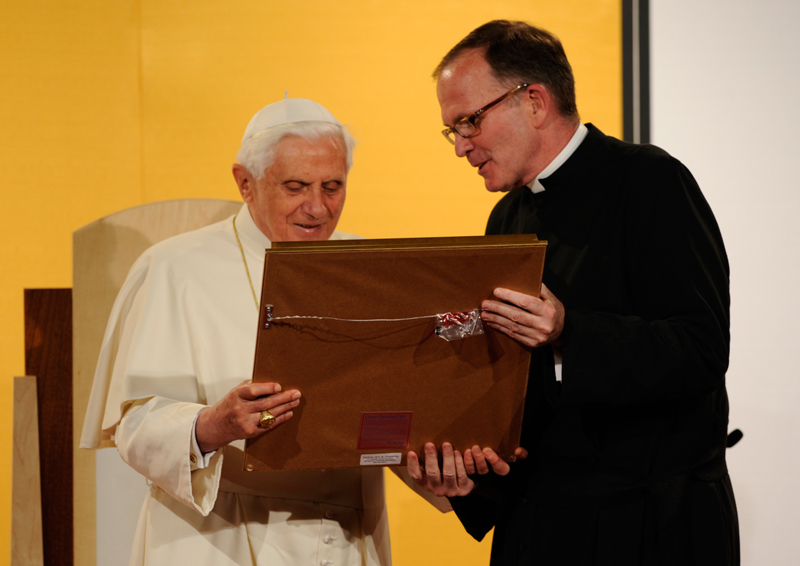 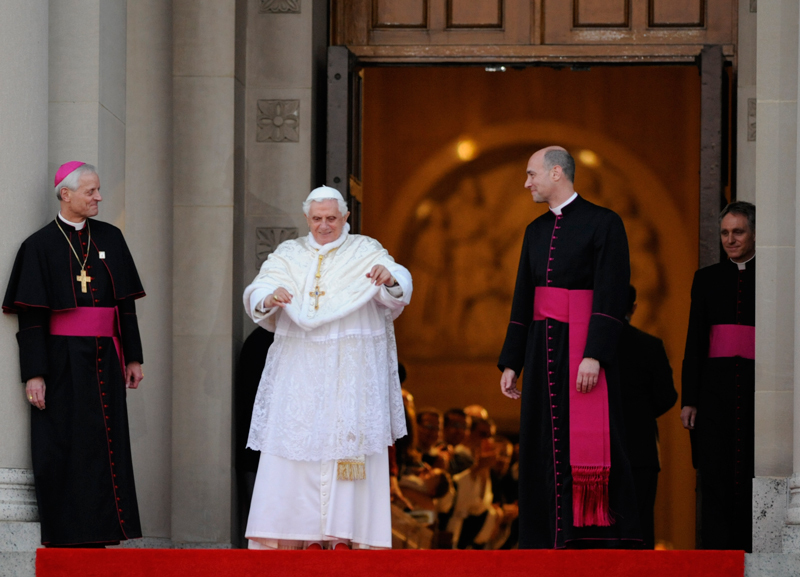 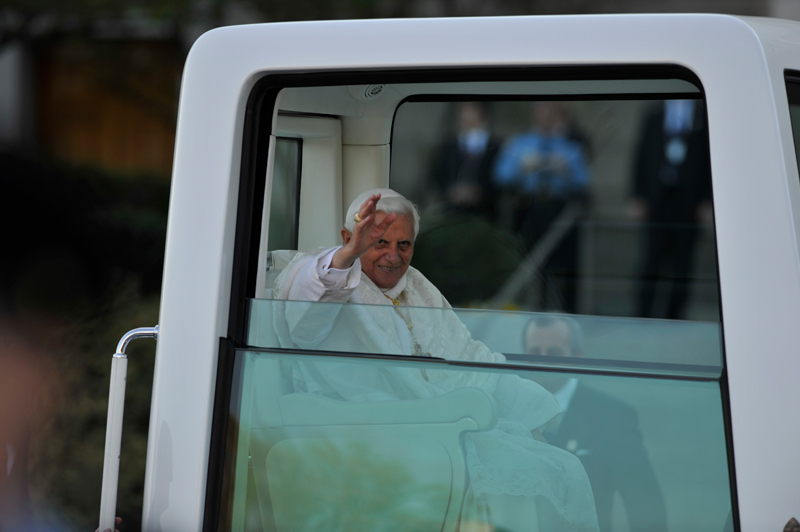 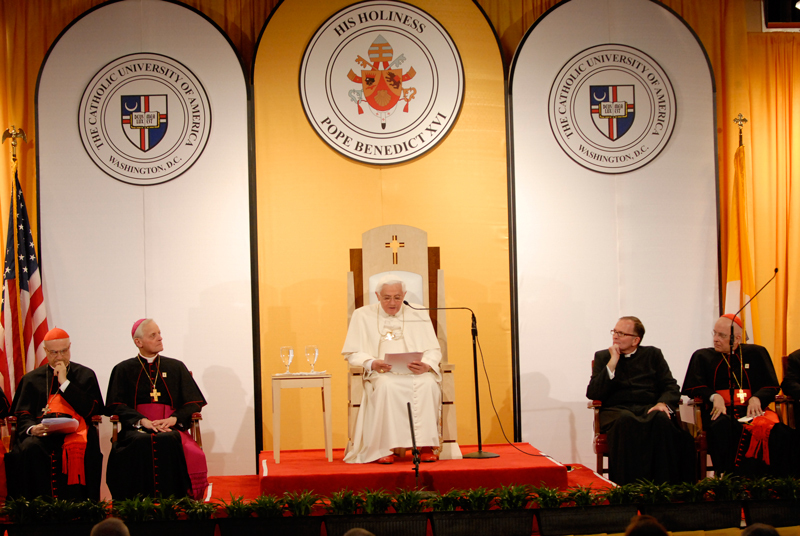 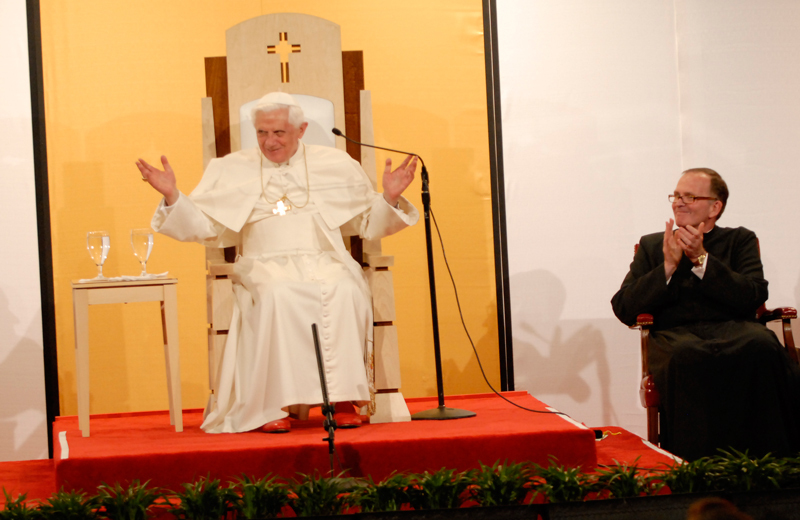 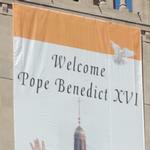 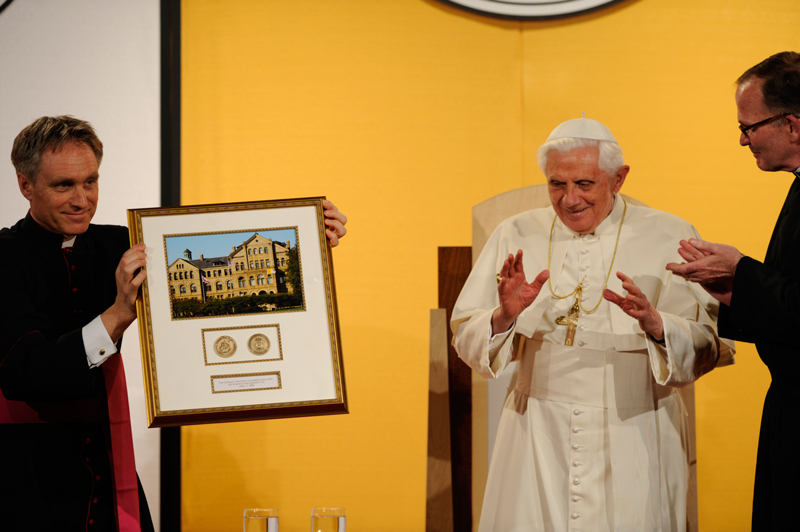 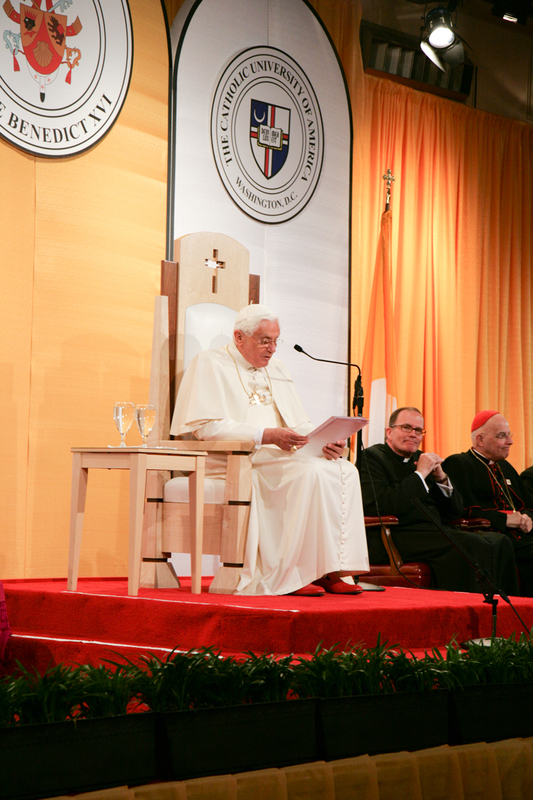 The University has a special connection to Pope Benedict XVI. 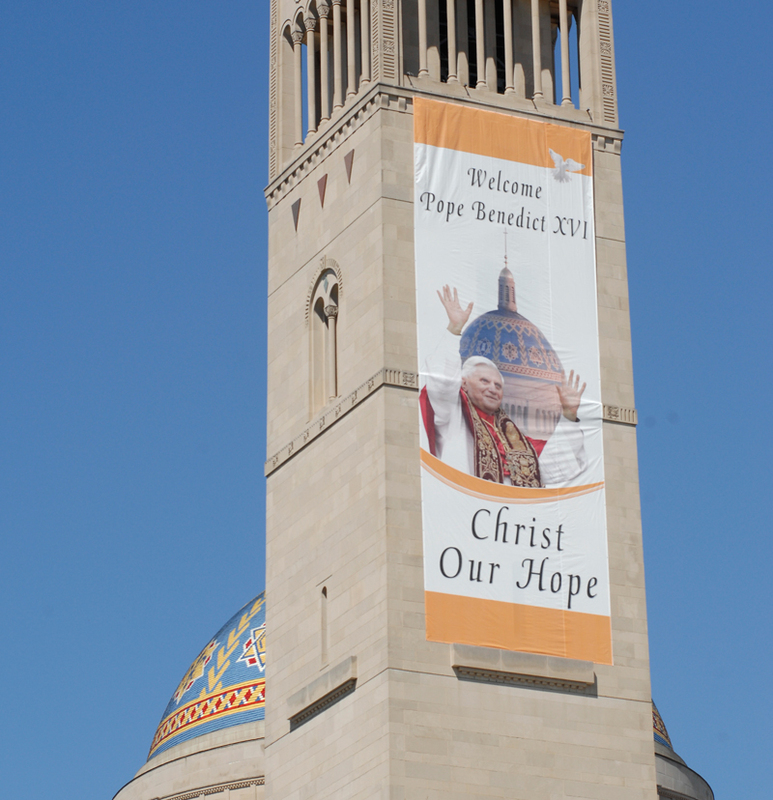 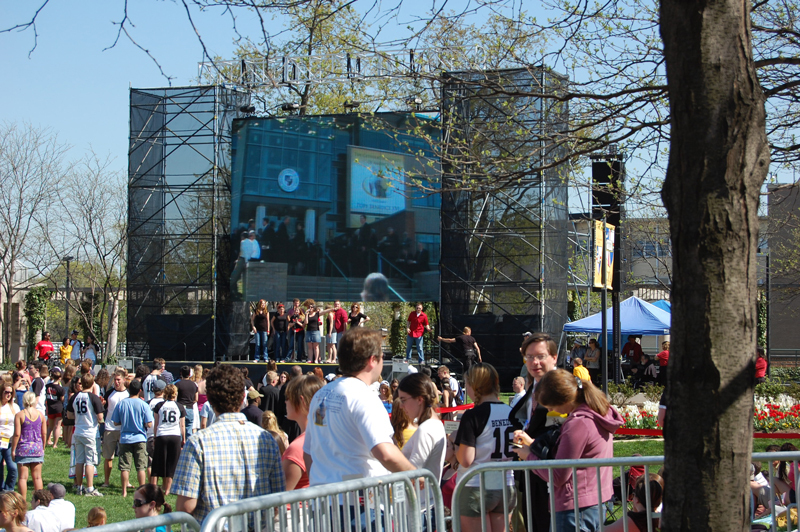 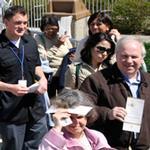 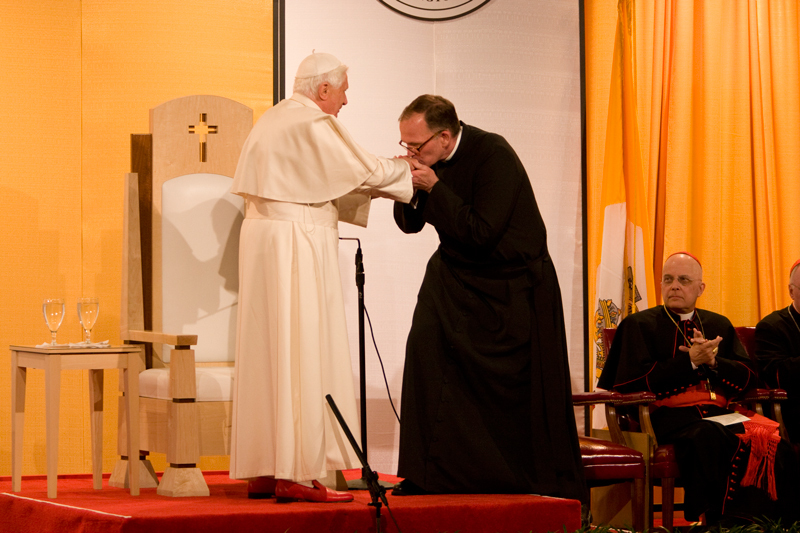 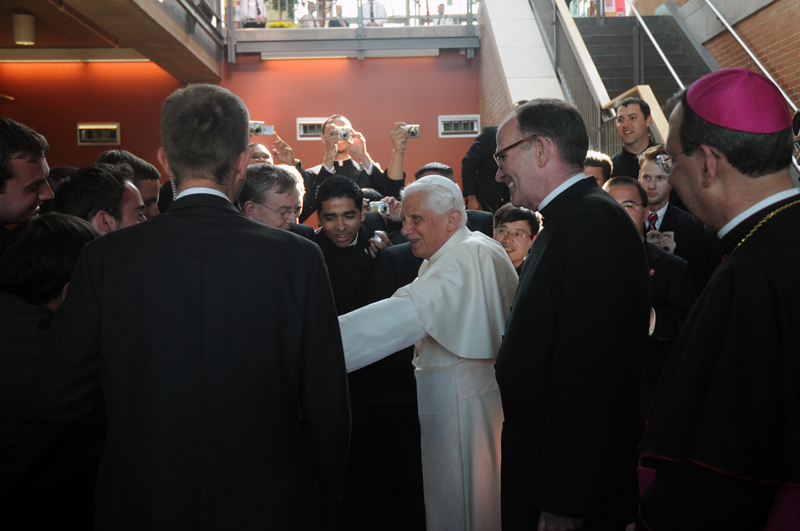 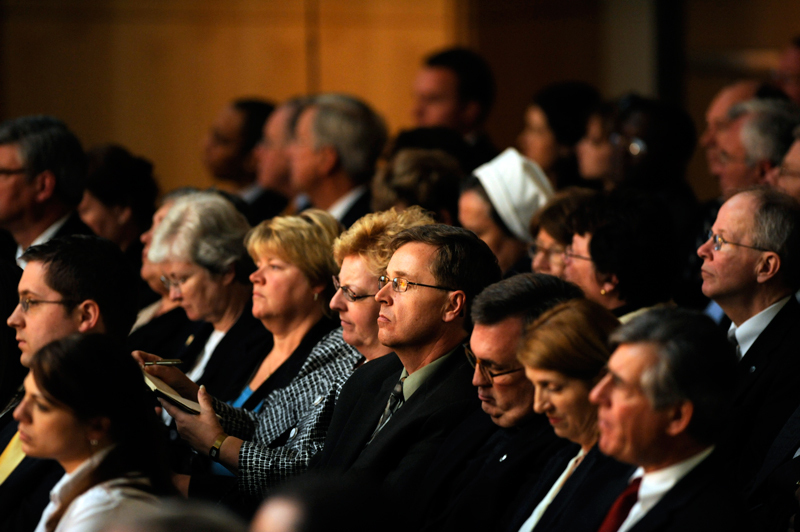 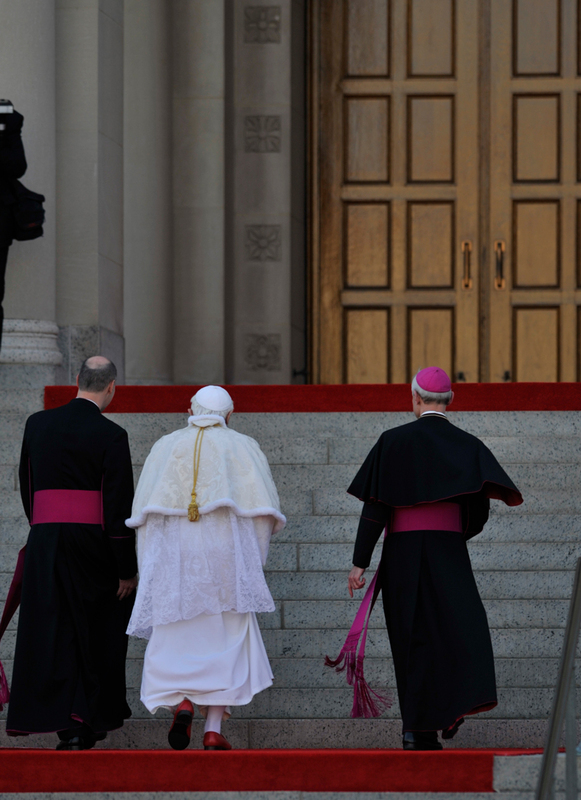 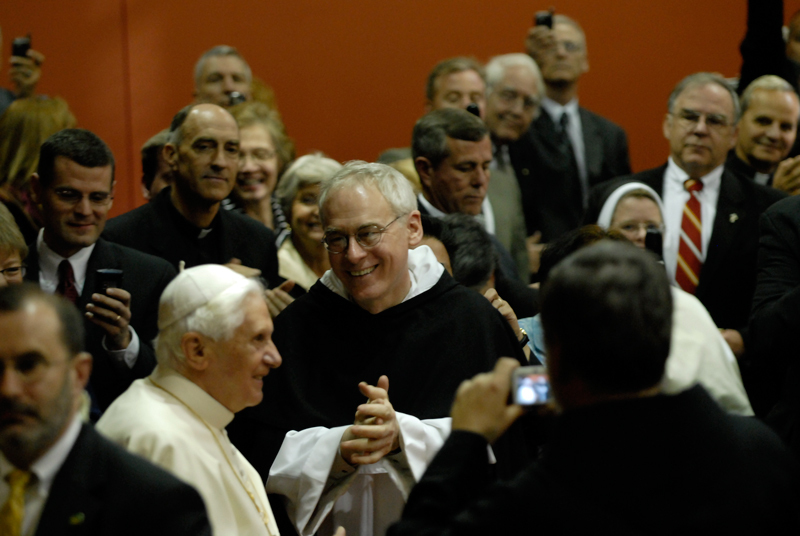 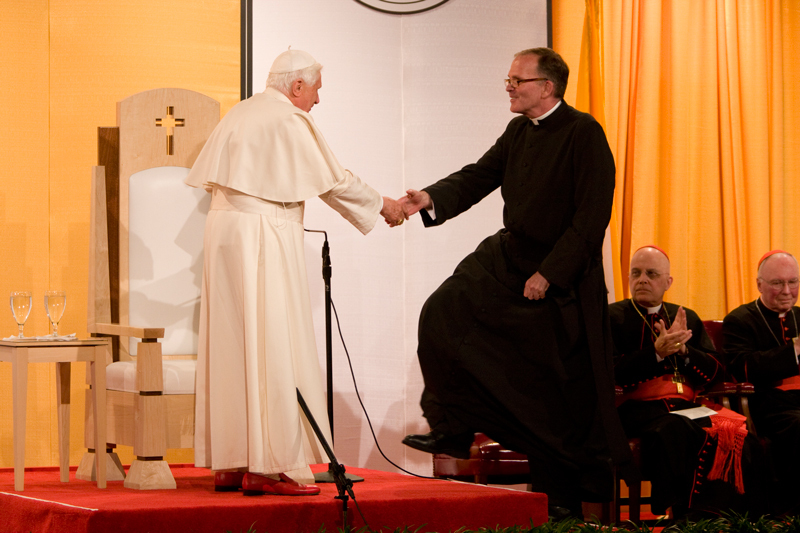 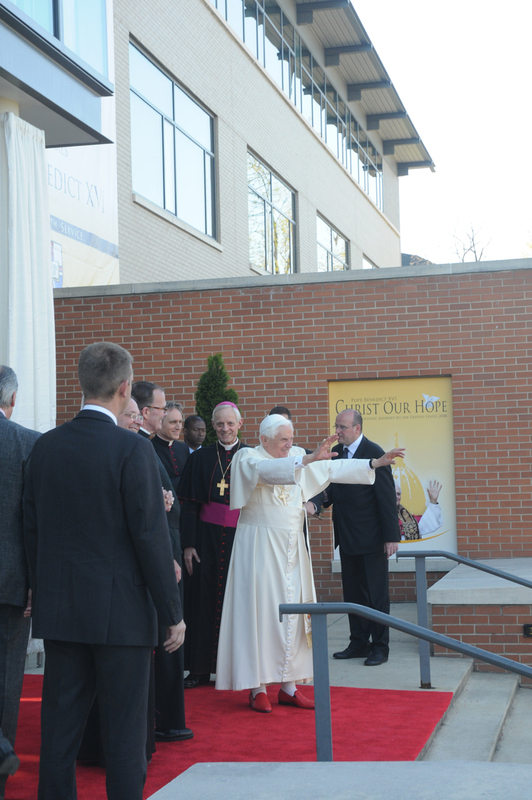 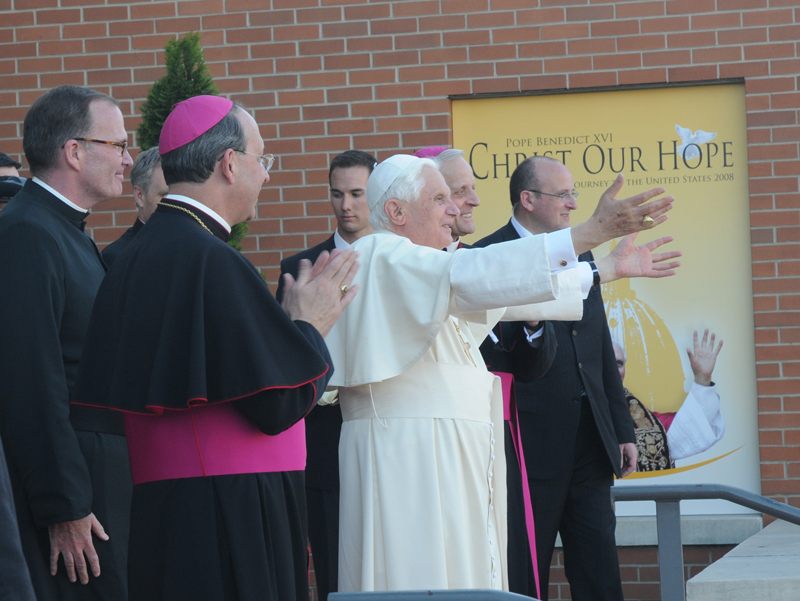 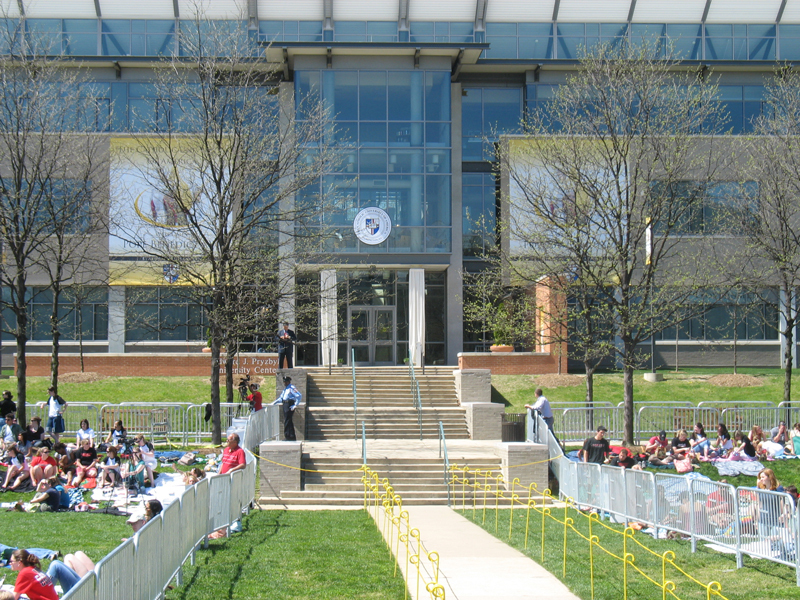 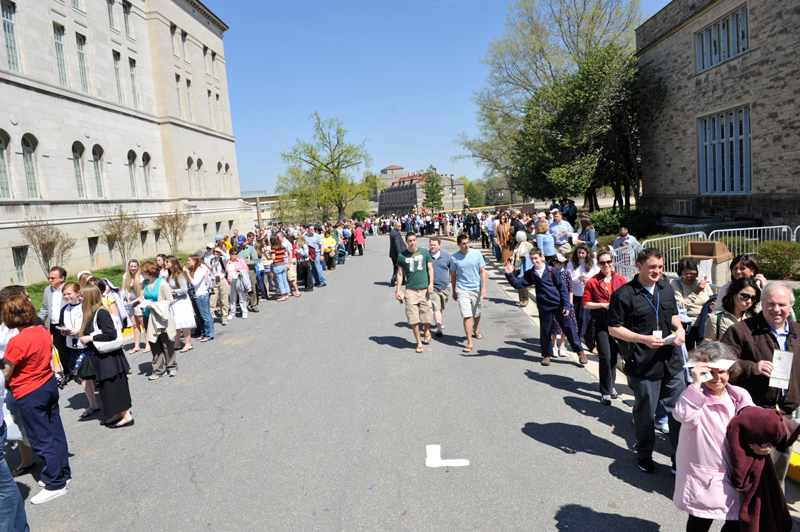 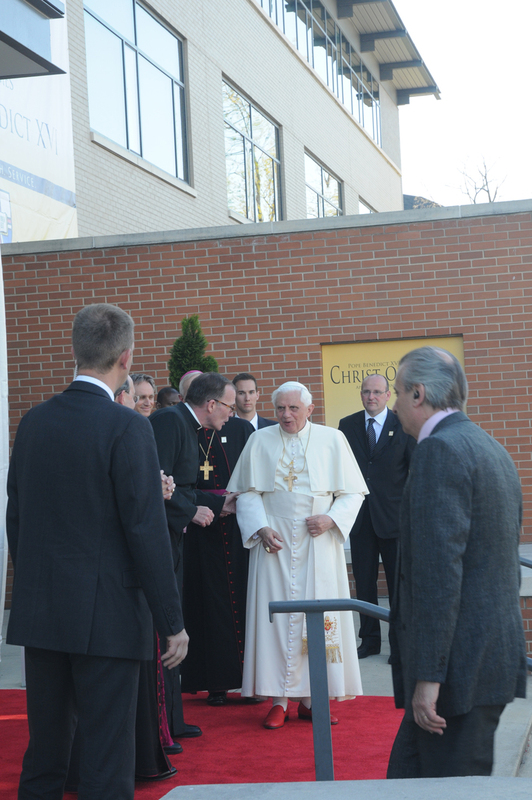 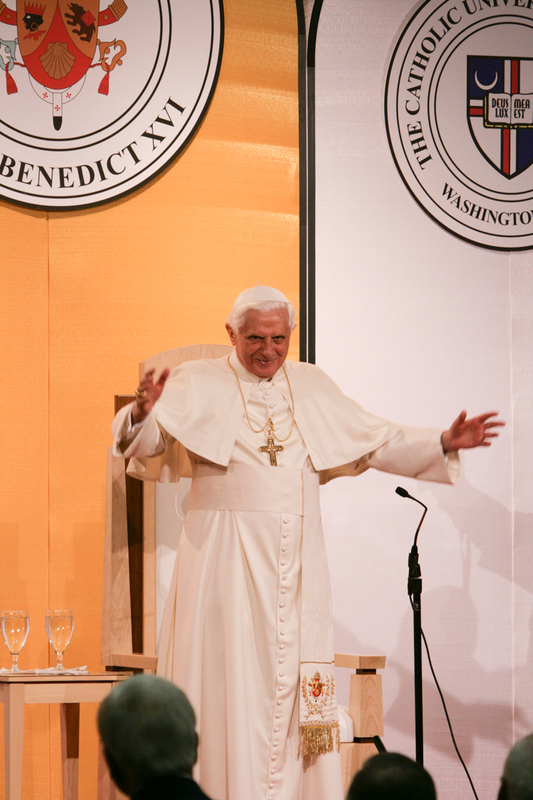 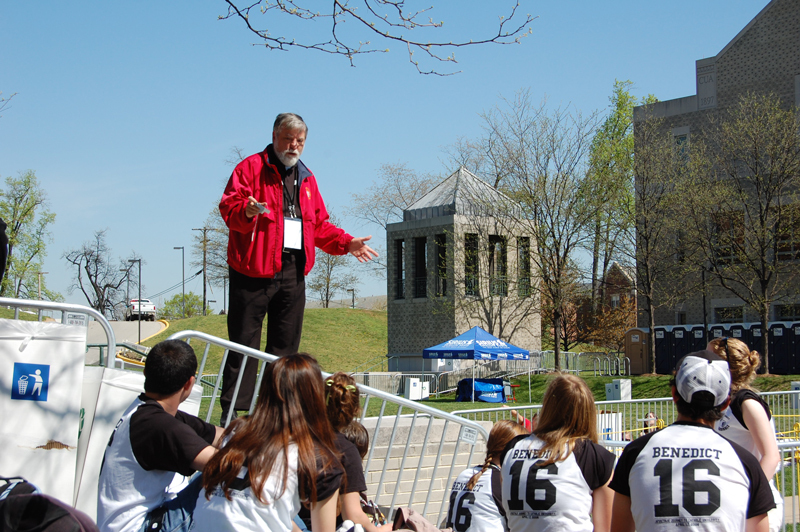 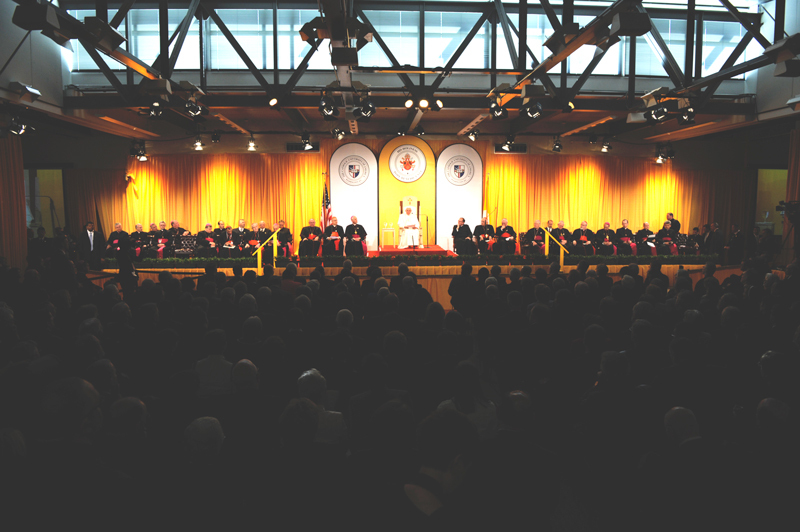 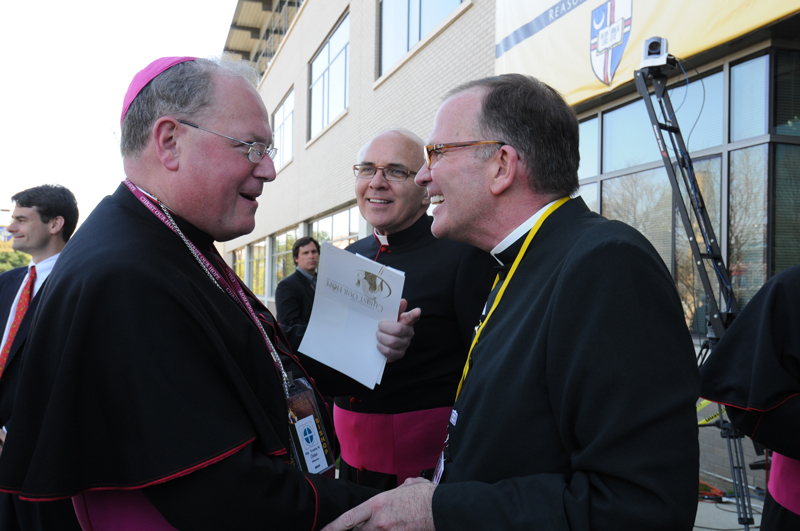 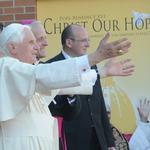 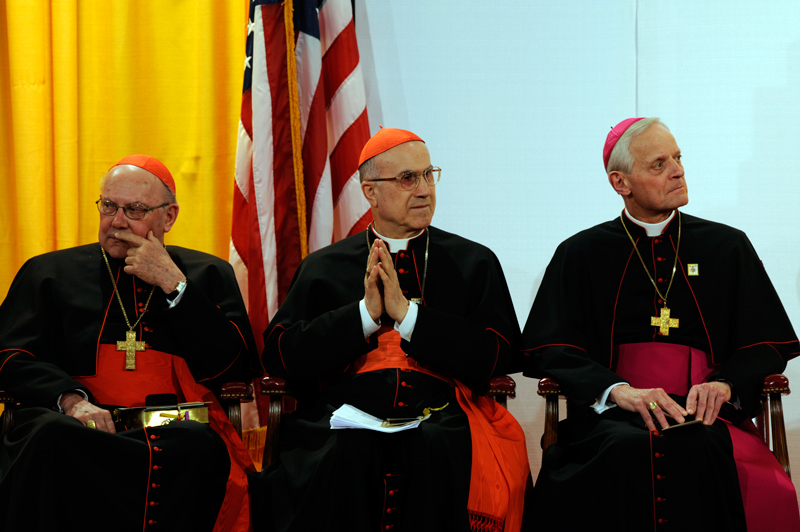 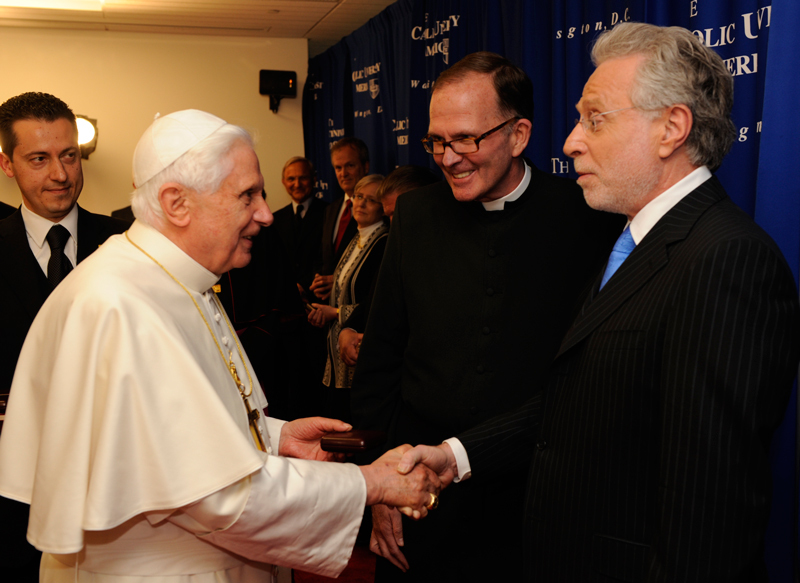 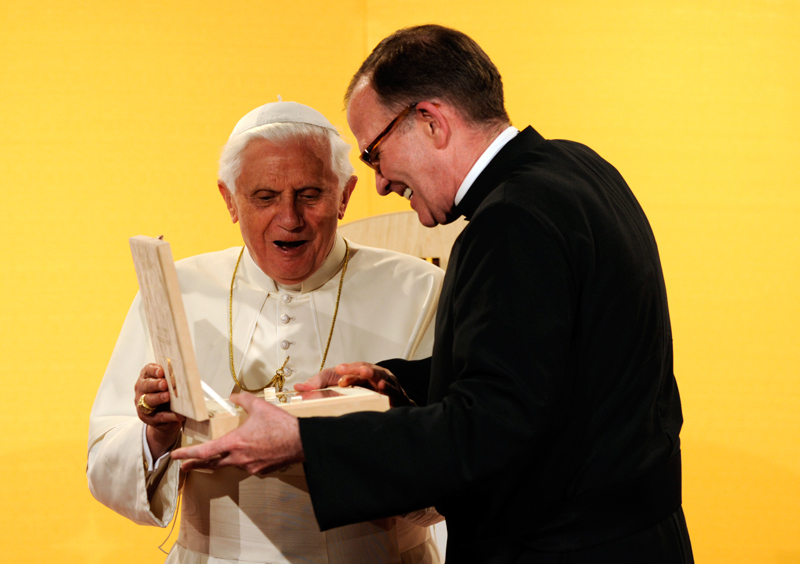 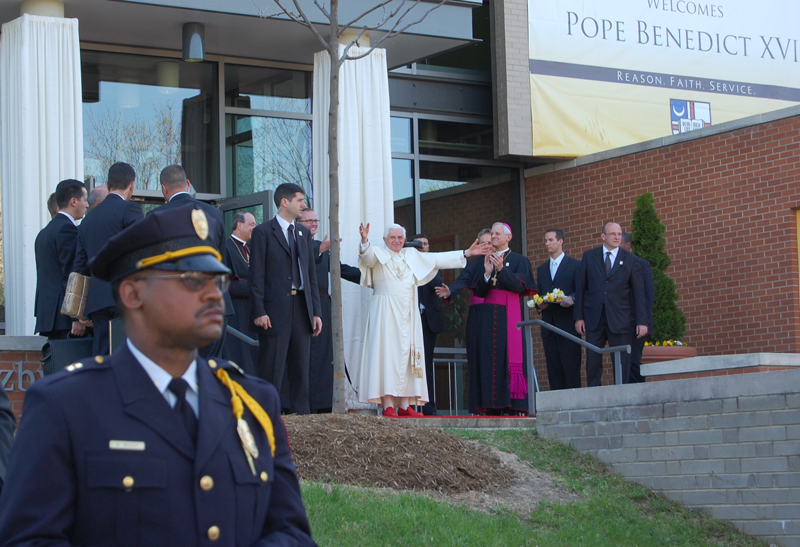 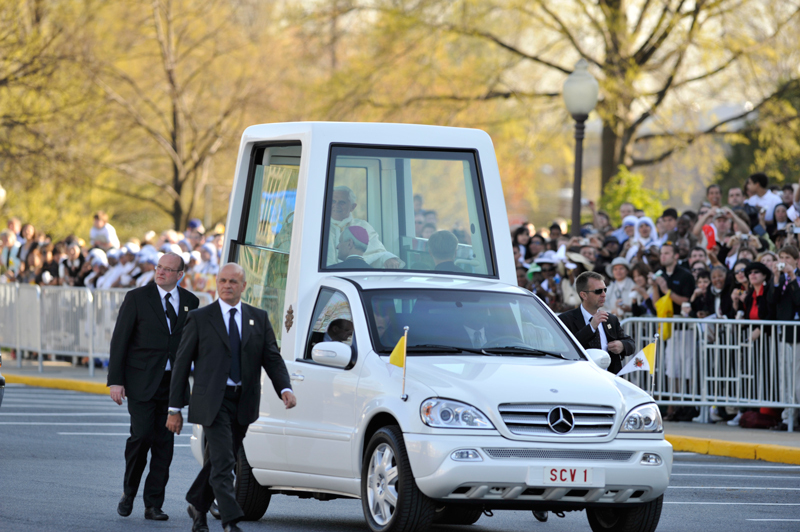 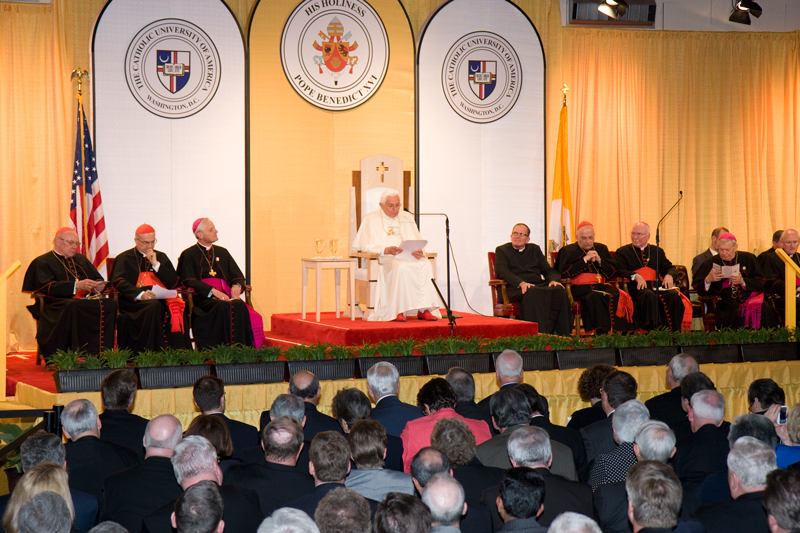 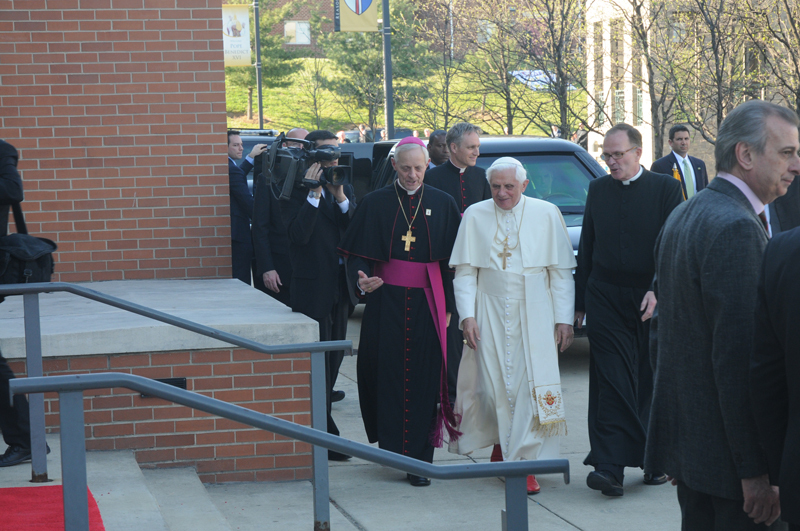 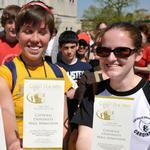 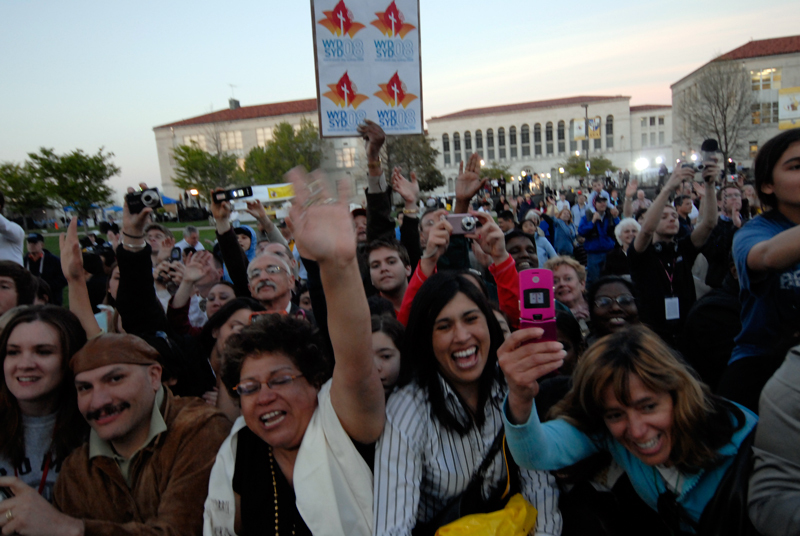 Nearly five years ago, on April 17, 2008, the Holy Father visited the campus of The Catholic University of America, one day after he had visited the Basilica of the National Shrine of the Immaculate Conception. 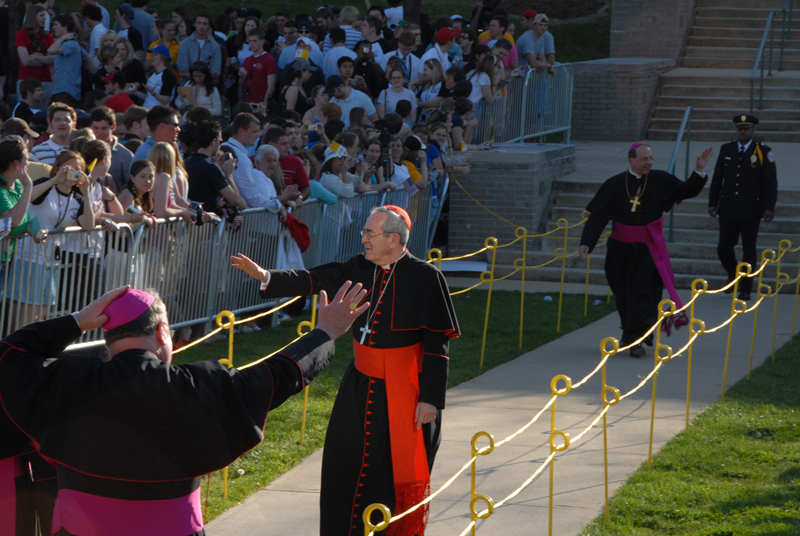 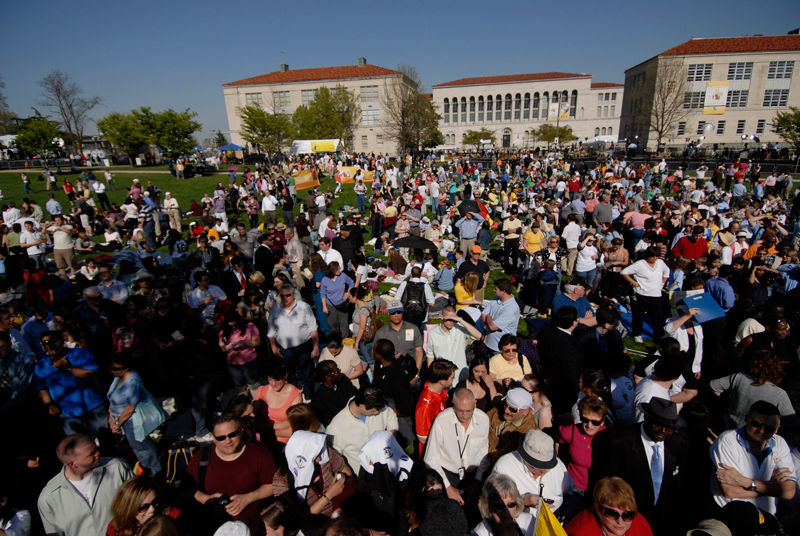 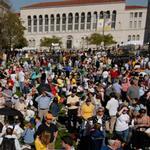 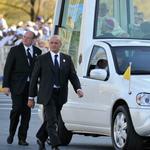 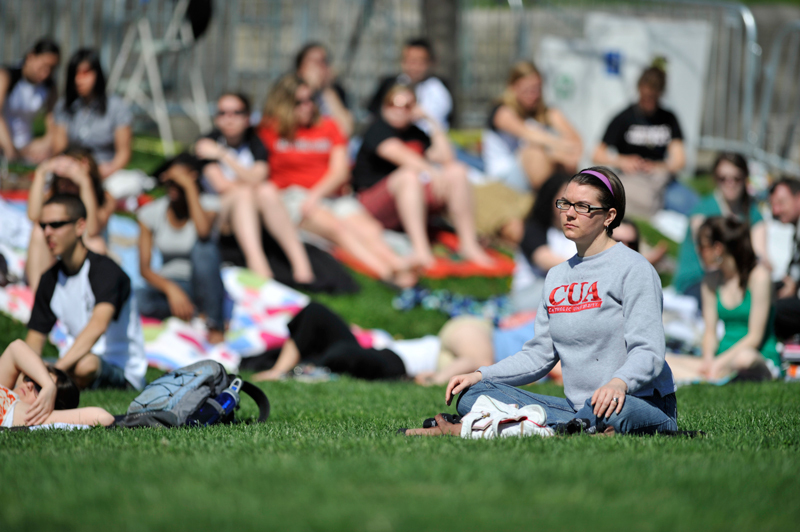 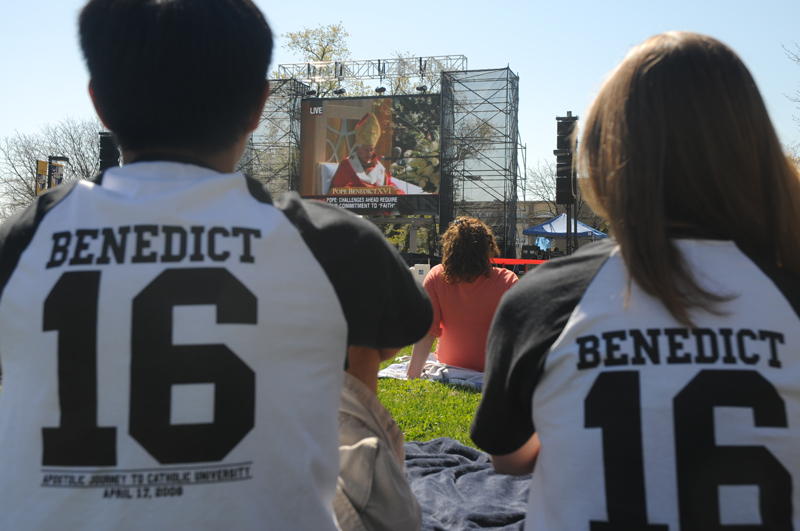 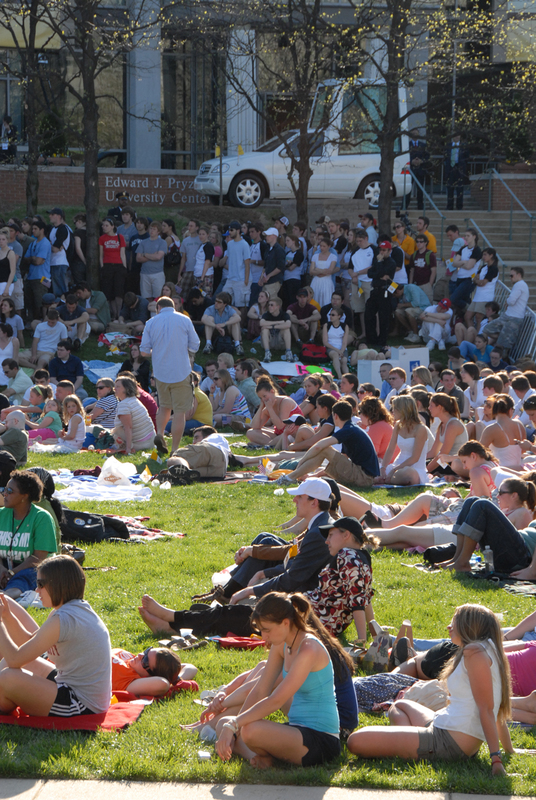 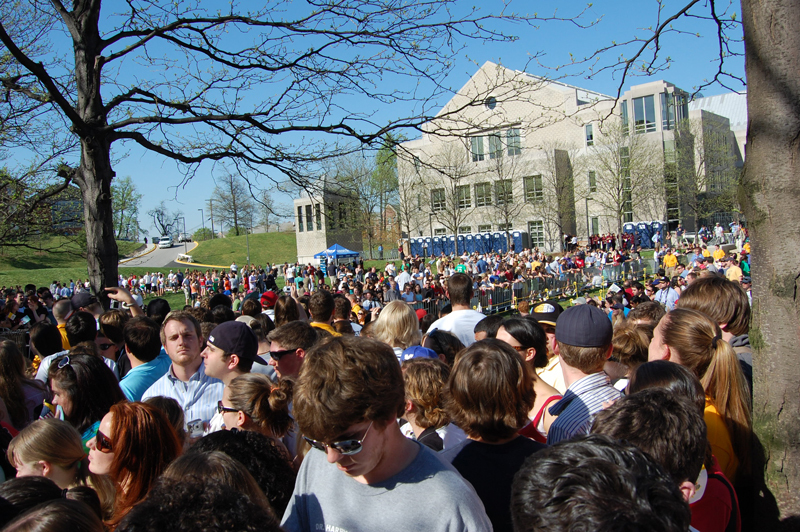 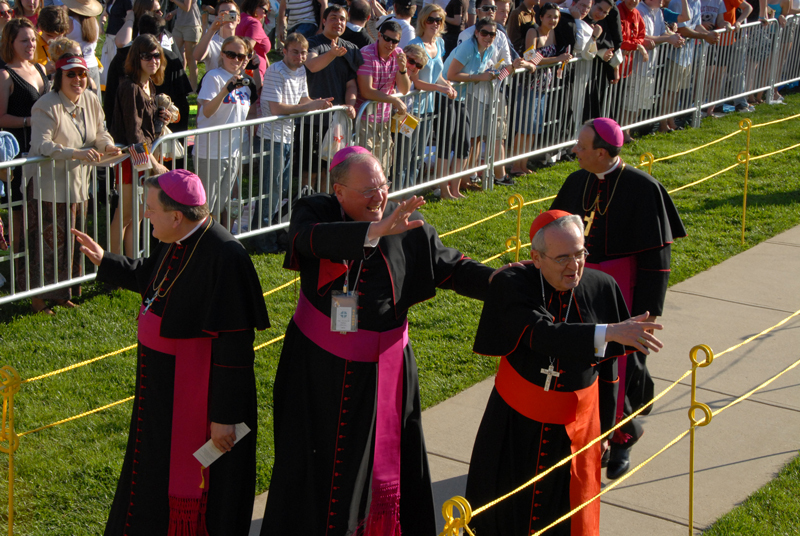 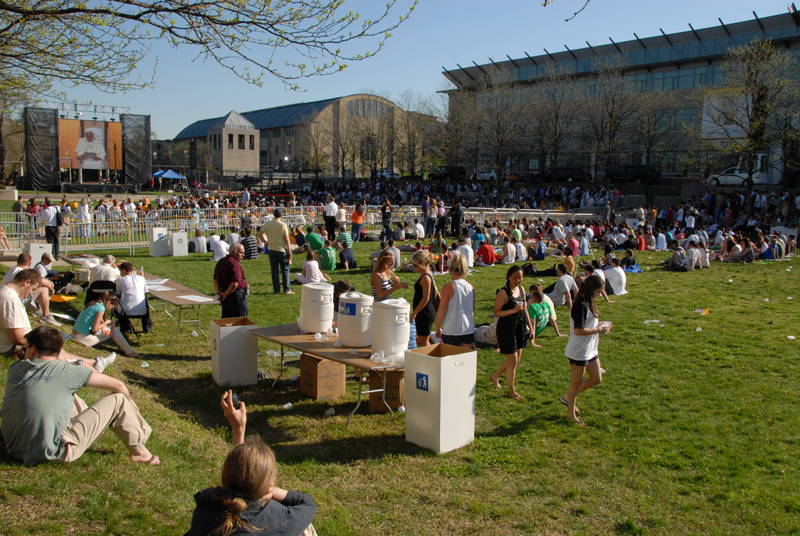 The pope greeted a crowd of thousands that had gathered on the University Mall. 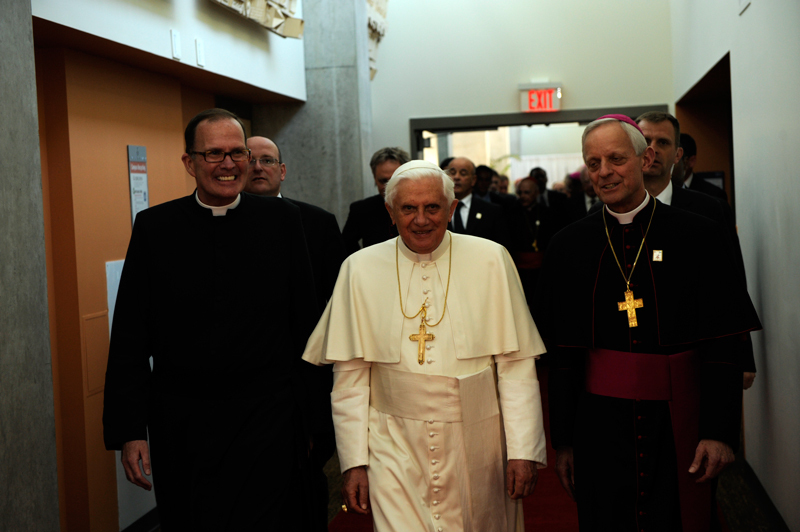 He met with the bishops of the United States in the Basilica and presided over Solemn Vespers in the Crypt Church on April 16. 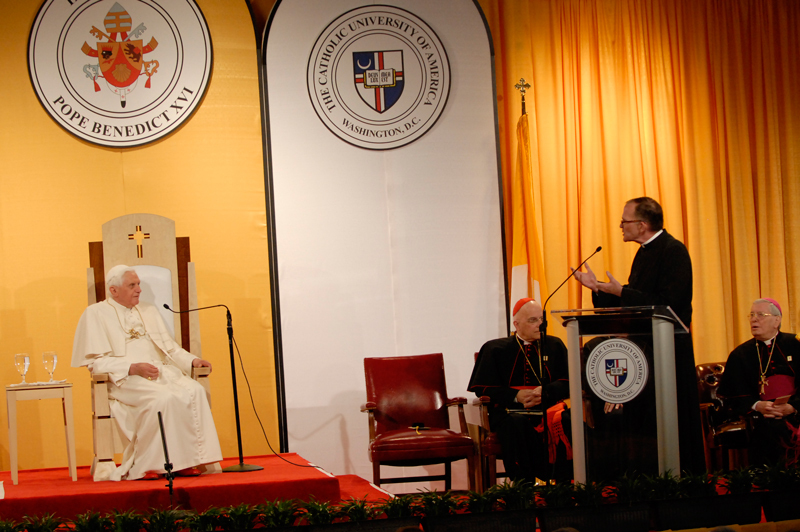 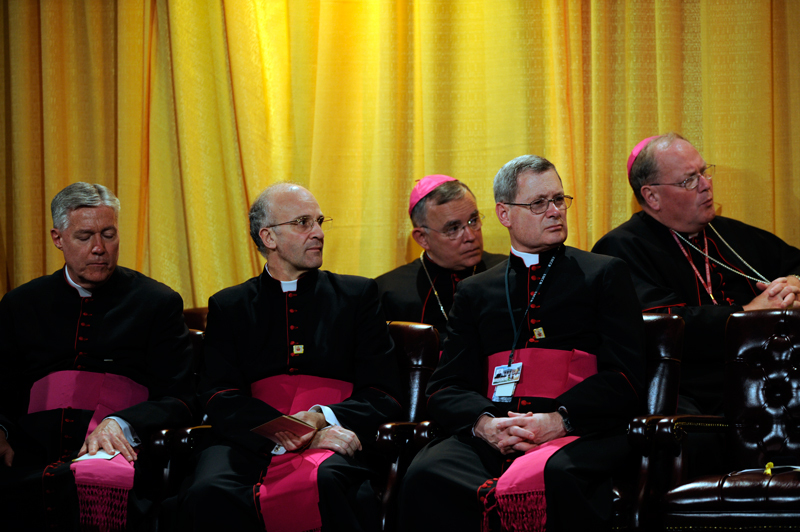 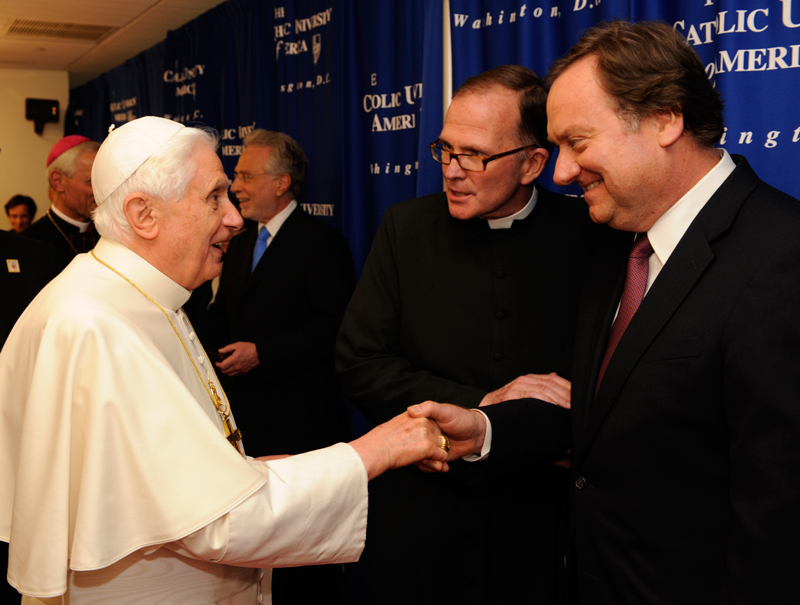 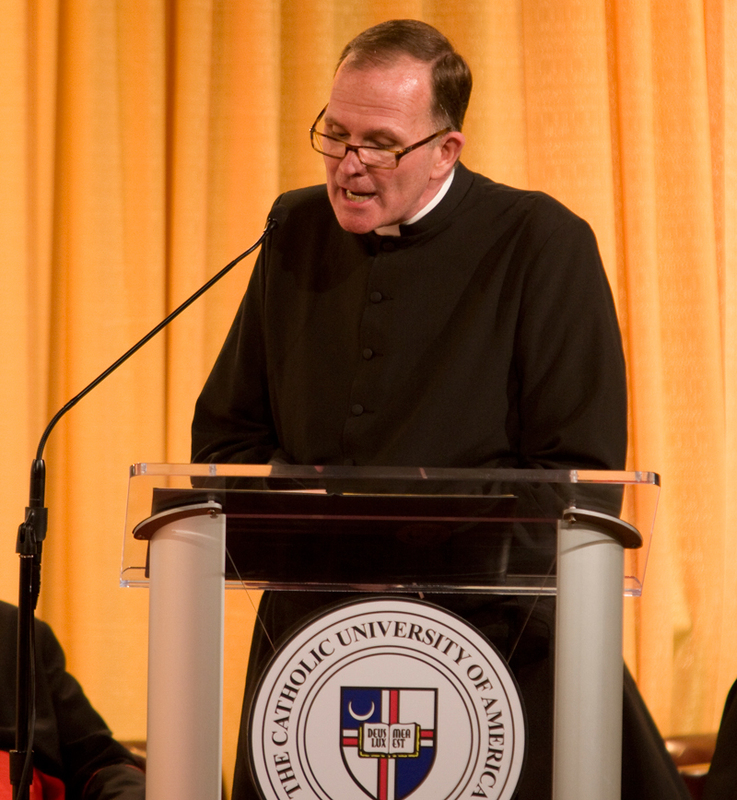 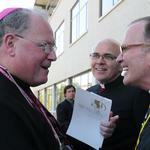 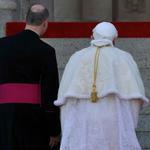 The next day, he delivered a formal address on Catholic education at the Edward J. Pryzbyla University Center.